Boston has experienced the worst winter in history in 2015. As a result, the golf market has suffered given its non-existence with so much snow on the ground. Over the last couple weeks our team has been getting the itch to swing a club so we decided to explore indoor golf opportunities in and around the city. 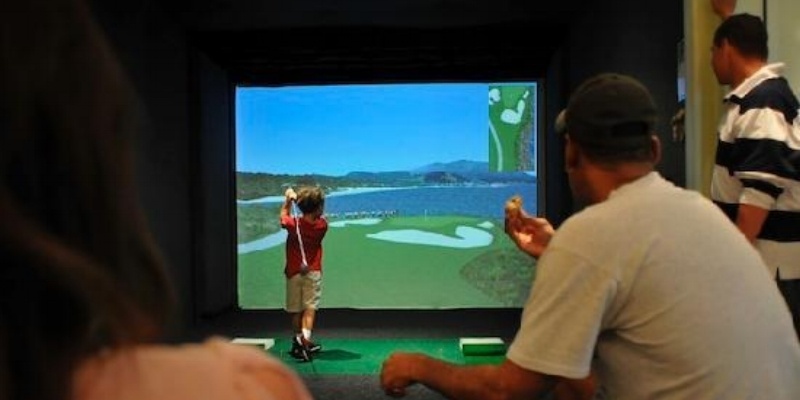 Below are five options for indoor golf near the city and a few comments about each facility. Please note, we have not been to all of these facilities, but are doing our analysis based on the facilities online presence. The Clubhouse definitely has the best website and set-up virtually out of any of the indoor golf facilities we look at. They make it easy to make tee time, the environment looks inviting, and the facility is large. We will provide a more detailed review after visiting the facility, but the biggest concern is getting a tee time when you want one. When we looked on Wednesday, all the bays were booked on a Saturday night from 6:00-10:00. I guess this proves my point that the facility must be good even though I have not gone there yet. Another drawback is the location given the facility is in Middleton (35 minutes from the City). This facility is located 20 minutes from the city and has limited hours. It looks as though BigSticks is more of a facility to learn the game or take your game to the next level versus simulators set-up for entertainment / socializing. Make sure you check the hours before you go. Terry Felty, the Head Professional is well known for his lessons and was named Teacher of the Year in Massachusetts in 2010. South Shores is a golf course which “has it all” including a golf course, restaurant, bowling alley, and even indoor simulators. 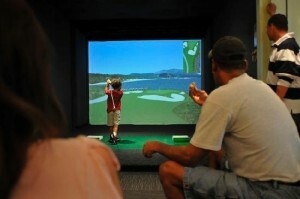 This indoor golf facility is quite small (3 simulators) and tee times book up in advance. When trying to make a tee time, I called the facility 4 times in a two day span using multiple numbers at the course and could not get through to someone. I guess if you want to play this facility, you are going to need to go to the place first and use the pen/paper tee time system. By far, City Golf has the best indoor golf location in Boston. Although the location is good, the facility is quite poor when you go inside. I give the facility credit with all the simulators and technology they have available, but they need to fix the lighting, signage, and experience inside the shop. When going into the shop, I did not feel welcome and was not comfortable in this environment to hang out for an hour to hit balls. I just went in to hit a bucket and the sales guys were hammering me for lessons too which was a little uncomfortable. This is the newest indoor golf facility open in the Boston area. It is nice to have a dome to hit into rather than just a screen at most of the indoor golf facilities. Judging by the website, you cannot tell much about the dome, but pricing seems reasonable and the location is good. I wish the hours were extended more so people could hit balls after work and on weekends as opposed to during the week. Todd Cook, the PGA professional in charge gives great lessons from what I understand and would be a good option to get your swing back into shape before the snow melts. If you are itching to get out to golf as much as I am, I thought the above indoor golf resources would be helpful to you. If you're looking for Boston golf tournaments, the Nextgengolf City Tour starts in May, so get those swings back into shape so we can bring home the City Championship title! ** Kris Hart is the CEO and Co-founder of Nextgengolf. Subscribe to our blog to receive more articles like this directly in your inbox.